If you are looking to rest those feet when you’re tired after all that shopping on Orchard Road, visit Sasha & Sons for a cup of joe and bagels. 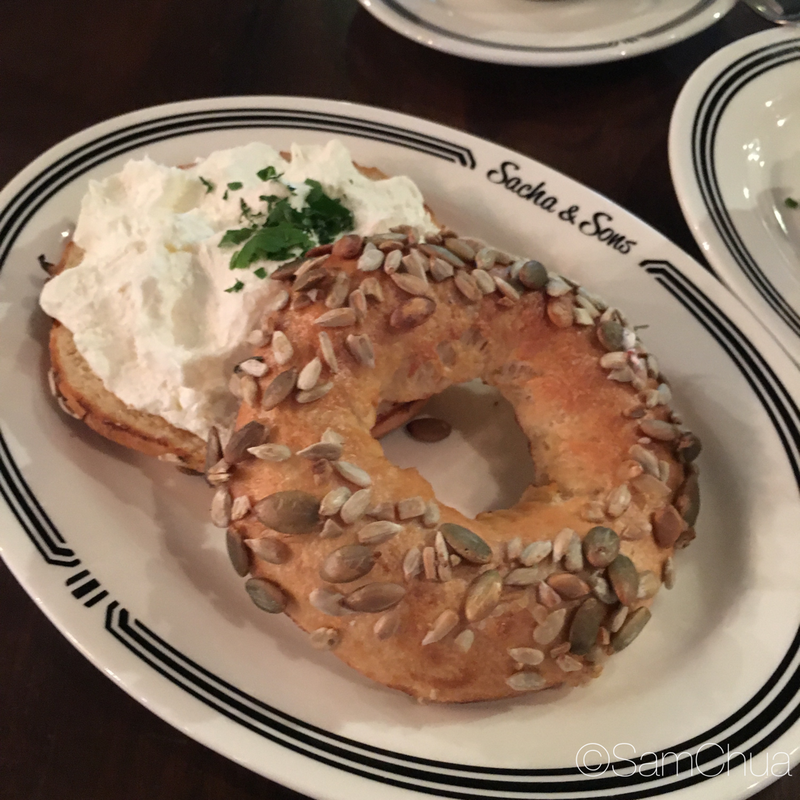 Think bagels & cream cheese at this New York Deli.Parking available at basement(Electronic – and free when you spend <$50), but I find it challenging so I usually opt for valet parking at Meritius Mandarin Hotel ($15). Latkes with Pastrami & Hollandaise Sauce [$16] – Crispy potato and onion pancakes. A must order when you are here! Will I Return O-Meter : Yes, when I’m craving for potato cakes.